Sarah Lee Lippincott is an American astronomer and was a colleague of Peter van der Kamp at Sproul Observatory when astrometric studies were being conducted there of nearby stars in the search for exoplanets. 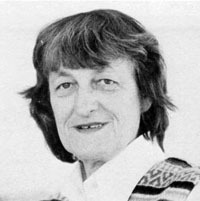 She was involved in observations leading to the reported discovery of several objects of sub-stellar mass, including a 0.08-solar-mass companion to the red dwarf Ross 614 in 1955 and a 0.01-solar-mass companion to Lalande 21185 in 1960.1 These were not subsequently confirmed. 1. Lippincott, S. L. "Astrometric Analysis of Lalande 21185," Astrophysical Journal, 65, 445 (1960).